Two incidents last fortnight show women’s toilets were not animal proof. The first incident reported today by abcnews.go.com’s Allicia Tejada said when Alexis Dunbar entered into her house in Florida,she found to her horror that a 7-foot alligator with its jaws wide open. 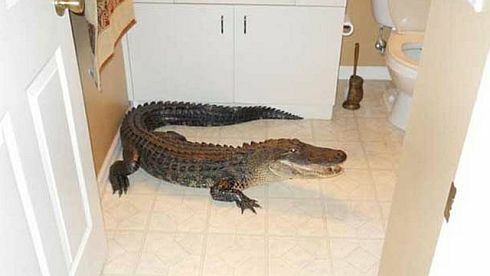 “Dunbar screamed for her boyfriend, who propped up a small table against an opening in the hallway to keep the alligator in the guest bathroom until officials arrived to remove the animal”,said Tejada’s byline story in abcnews.go.com. Alonside, the Salina Journal published a story saying Jenna Krehbiel had taken her daughter to the bathroom during a local circus performance.Right then “when she opened the bathroom door at the Isis Shrine Circus in Sicily, she saw a tiger standing less than a metre away”,said ANI report quoting News.com.au. 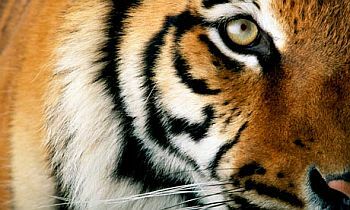 “The tiger had escaped after its performance in the ring and had wandered into the bathroom; while staff had launched a search, they were yet to check the toilet.The tiger was caught within minutes and was returned to its enclosure”,said the report adding that in the circus –“The Hangover”-three central characters woke up after a big night to find a tiger in their bathroom.